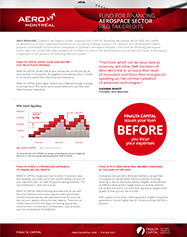 loan generate about 50% more cash. Aéro Montréal, Québec’s aerospace cluster, supports the Fund for financing aerospace sector R&D tax credits established by Finalta Capital and dedicated to providing strategic support for research and development (R&D) projects undertaken by innovative companies in Québec’s aerospace industry. The Fund for financing aerospace sector R&D tax credits will make available $15 million to reduce the financial pressure on the cash flows of aerospace companies in the process of obtaining R&D tax credits. most likely have only issued $400,000. 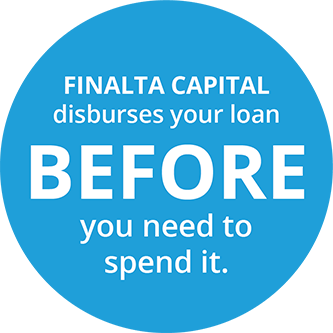 FINALTA CAPITAL issues your loan in some 15 business days and renewals are made one to two months before the start of your new fiscal year. No need for government guarantees. The documentation is clear and concise. 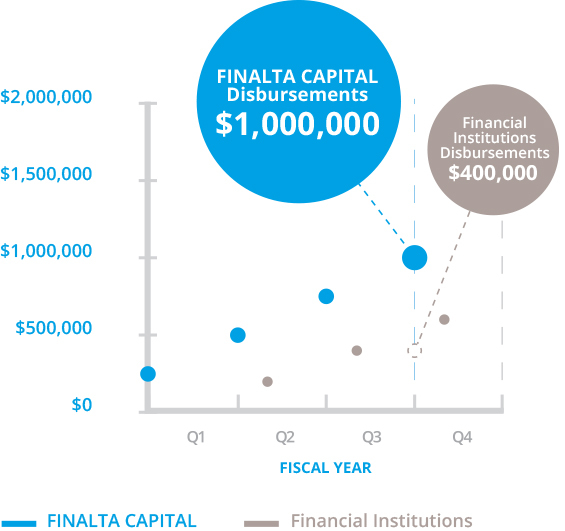 FINALTA CAPITAL offers financing at a total cost on par with financial institutions that require government guarantees. The all inclusive interest rate, adjusted to the risk level and loan amount, applies only to the loan balance. There are no hidden fees (commitment, legal, accounting, guarantee, disbursement, monitoring or renewal fees). 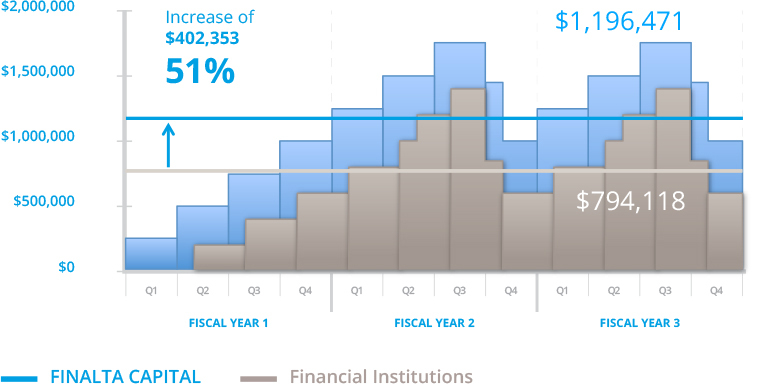 Loan amounts vary from $250,000 to $10,000,000. Companies who are Aéro Montréal members can get their innovations to market faster thanks to tailored financing. Working in various aerospace sectors, eligible companies are at different development stages, have successfully entered the market and wish to increase their liquidity to support their growth or free up their line of credit. With a good record of tax credit repayment, eligible companies generate an income higher than $1 million and their EBITDA is positive.